Tropical Storm Harvey’s impact on the sprawling city Houston has been vast, costly and deadly. Dozens have lost their lives and flooding has damaged an estimated 156,000 dwellings across the greater Houston area. But Harvey didn’t discriminate. The massive storm has proven an “equal opportunity” disaster, wreaking catastrophic havoc in multiple Gulf Coast cities and states. The Texas city of Beaumont — a municipality of 118,000 about 90 miles northeast of Houston — has been floored by the historic storm. 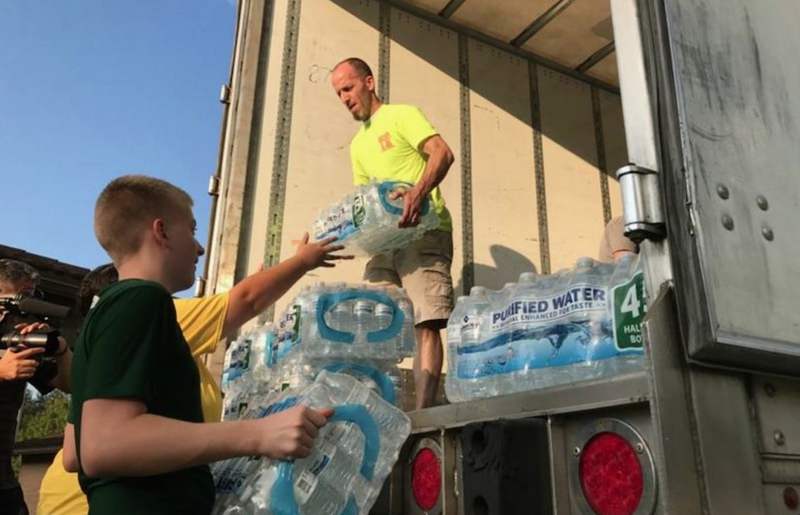 Flooding, water shortages and power outages continued Saturday to plague the city and many of its surrounding communities. Inundated roads have even turned some neighborhoods into veritable islands — isolated and inaccessible to motorists. The presiding Mormon official in the region, Beaumont Texas Stake President Mark Ratcliff, has not stepped inside his home since Harvey raged across southeast Texas earlier this week. He was out of the country when the storm hit. So he enlisted both resourcefulness and pluck to make it back to Beaumont. He then went directly to the Beaumont LDS chapel and hasn’t really left since.